Read Hillel's Angels Road Rules Here! Hillel's Angels Hope, Liberty, and Freedom Ride! The Hillel’s Angels motorcycle touring club is proud to be one of the 5 founding member organizations of the Jewish Motorcycle Alliance. 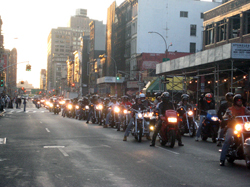 With the support of its members, now with 21 clubs, the JMA continues our efforts to unify the Jewish community of motorcyclists. This serves to connect us all, club to club, rider to rider, in an extended family of riding enthusiasts that not only share our passion for the road but pride in our heritage and culture. For more information on the JMA, please visit their website.